The newest designer on the block, Shweta Darade has recently opened her store. Her label Umod in Camp opened in December and she’s already busy with orders. Whether you’re looking for a bridal lehenga or something to wear for the next wedding or party on your social calendar. Darade designs, gets it stitched and waits for you to slip into one of her designs. You’re guaranteed to get fabulous outfits as Darade has trained at INIFD and has also showcased her collection at London Fashion Week in 2017. 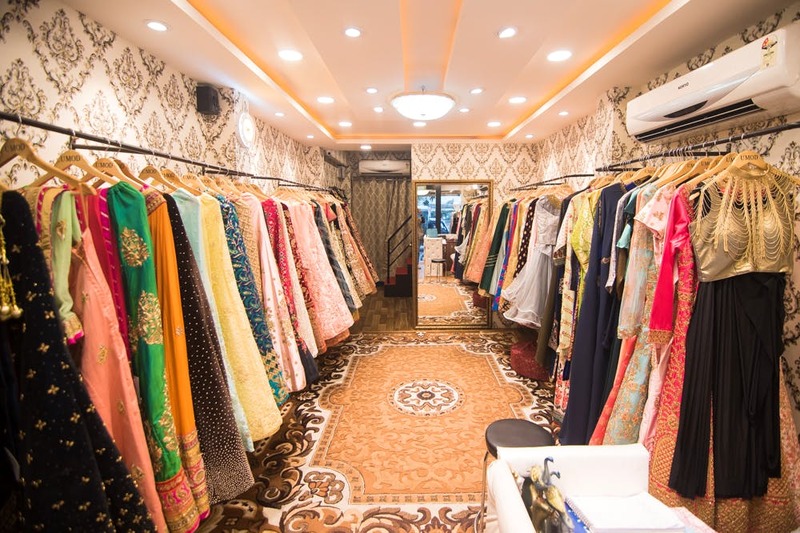 Located close to Dorabjee’s supermarket, the studio is bright and sparkly with two racks of lehengas awaiting owners. Clothes in bright reds and yellows, subdued minty greens and pinks dominate the store. Darade offers zari and hand-embroidered pieces as well as machine-worked ones depending on what your budget might be. You can get your lehenga-choli designed, stitched and ready to show off starting at INR 8,000. Darade also customises sarees. Get an embellished blouse or add a bit of quirk to an old saree. Better yet, rock an ethnic gown. Or you could get a sequin-work gown or something trendier for a cocktail event starting at INR 4,000. There also a range of accessories to choose from, dupattas start at INR 400. And, Darade is sourcing in clutches and handmade accessories starting at INR 1,000. We’d love to see a lookbook on Instagram or Facebook to help us pick a design faster. Get yourself a dupatta that’s customised for you. You’ll love it so much that you’ll definitely want to get a lehenga stitched here too.